The Southern Hemisphere’s oldest ballet company and one of the oldest in the world. 1997 • Cape Town City Ballet (CTCB). Section 21 company, not for gain. The CTCB is governed by a Board of Directors, and is able to operate with a small staff, due to the high calibre and experience of the incumbent of every single post – both artistic and management. There is a total of four people in the management team, and it currently employs 28 dancers on full-time contract. It uses students from its extensive development programmes to supplement the corps de ballet when necessary. One wardrobe staff member ensures that the costumes, some of which date back to the 1970s and are still being used, are in good order for forthcoming productions. Dr Dulcie Howes, the founding Artistic Director of the company, was adamant that, from the moment of formation, this dance company would give opportunity to talent, irrespective of race or colour. 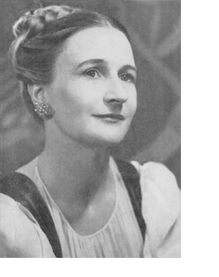 She proved to be formidable in this regard and throughout her directorship, both the ballet company and the training programme gained a reputation for ensuring that opportunity for training and employment was open to all, despite the ruling laws of the time. Professor David Poole, her successor, continued this tradition and the UCT training programme was one of the few in the country that graduated students from across all communities in the country. The Company has in the past been the home of such dancers as Mzonke Jama, Kevin Muller, Sharon Paulsen, Christopher Kindo, Laveen Naidoo, Jack Wyngaard, Llewellyn de Villiers and Desiree Samaai, all of whom have made names for themselves in dance overseas, as well as in South Africa. Under his guidance, the CAPAB Co reached international standards of production and direction, and enjoyed constant interaction with directors and teachers from abroad. In her time as Artistic Director and Resident Choreographer of the CAPAB Co, from 1990 to 2005, Veronica Paeper wrote over 40 ballets, full-length and one-acters. Even after her retirement as the Artistic Director of the CAPE TOWN CITY BALLET in 2005, this Company retains her works and reproduces them regularly, to the delight of her many supporters. Her Orpheus in the Underworld, Don Quixote, Carmen, Camille and Cinderella continue to draw audiences, while her Drie Diere, to the music of South African composer, Peter Klatzow, remains the definitive South African balletic creation. Under the Artistic Directorship of Robin van Wyk, the CTCB has intensified the original philosophy of opportunity for talent into one that actively searches for, and creates, training, performance and choreographic opportunities for young dancers from previously disadvantaged communities. In addition, the CTCB has a committed objective to ensure that the company is at least 90% staffed, both in the artistic and administrative spheres, by South Africans, which is driven by a policy to ensure the advancement of black South Africans.